May, July and August 2013 Jewish trips to Costa Rica and our August Alaska trip! 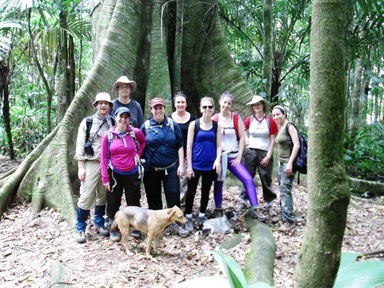 The 8-night Costa Rica Experience for Jewish professionals next March (for those in their 30s. 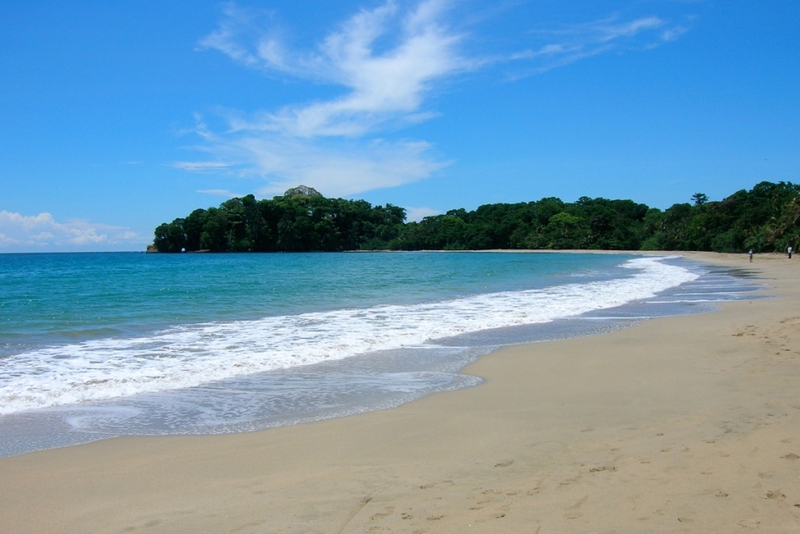 40s and 50s) a diverse adventure that combines the volcanic mountains of Costa Rica – with its breathtaking tropical beaches. 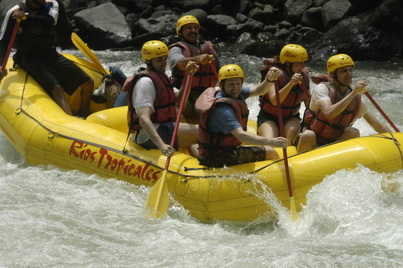 It begins by sampling some of the color that San Jose, the nation’s vibrant capital has to offer ,with a visit to the Jewish community; goes on to the famous Arenal volcano and it’s just as famous hot-springs, all while based on the Finca Luna Nueva eco-lodge, surrounded by primary rainforest; continues with a whitewater rafting run and ends on the Caribbean Lowlands, with their tropical beaches, unique flora and fauna, active nightlife, and indigenous culture. EVERYTHING listed below is included in our trip. These adventures are paid for already – just imagine that! 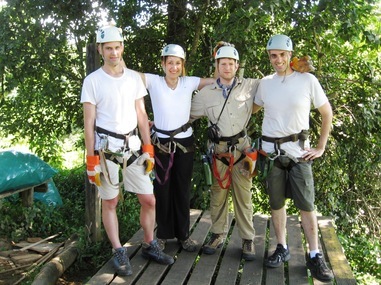 You may, but you do not need to spend another dollar on an adventure – it’s all priced into our packaged tour. It is Saturday night, and if you are up to it, we will be checking out the Latino vibe of the local nightlife! Morning: A walking tour of downtown San Jose, including an amazing introduction to Costa Rica from a senior tour guide. 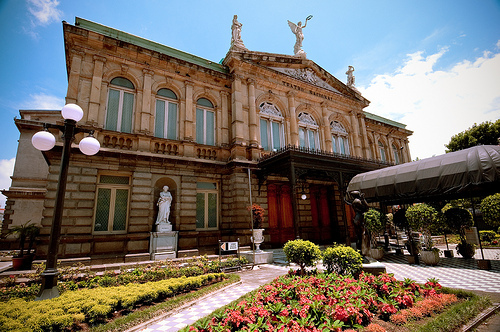 The walking tour will be followed by a visit to the local Jewish Community - including a visit to the impressive synagogue and museum, and an introduction to the history of Jews in Costa Rica. 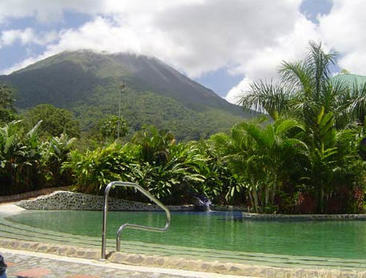 Afternoon: Drive to the town of La Fortuna, near the majestic Arenal Volcano, with a possible stop at a traditional coffee plantation along the way. We will check in to our home for the next three nights, the Finca Luna Nueva Lodge. 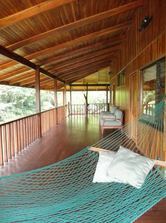 Finca Luna Nueva is a sustainable rainforest eco-lodge hotel, offering an intimate experience of primary rainforest together with a certified organic biodynamic farm. 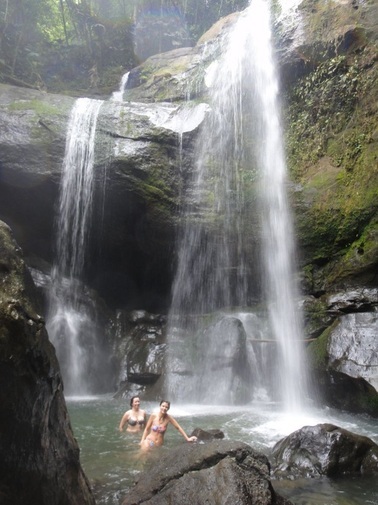 Here, you will experience the Costa Rican rainforest, learn about the farm's sustainable practices and relax in rustic yet luxurious accommodations! Tonight, enjoy an excellent organic dinner, chill by the pool and take a night hike of the surrounding rainforest - and discover its unique nocturnal denizens. Today we will stay in the Finca Luna Nueva area - its 240 acres offer many opportunities to view its natural beauty - and just to relax! 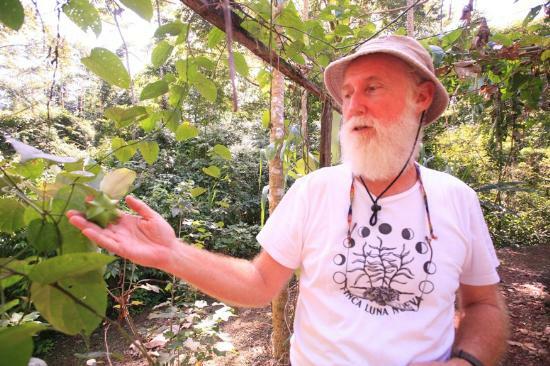 Morning: We will take a tour of the Sacred Seeds Sanctuary at Luna Nueva, a dynamic collection of medicinal plants that protects and celebrates not only biological diversity in Costa Rica and the tropics, but also the diversity of cultural knowledge related to these plants worldwide. Housing over 275 tropical plants, this collection is a delight for anyone interested in botany, herbal medicine, or indigenous culture. 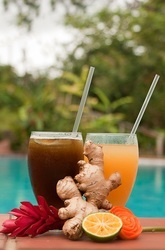 We will end the day feasting poolside on an amazing Costa Rica/Asian fusion style dinner, all organic and locally produced! 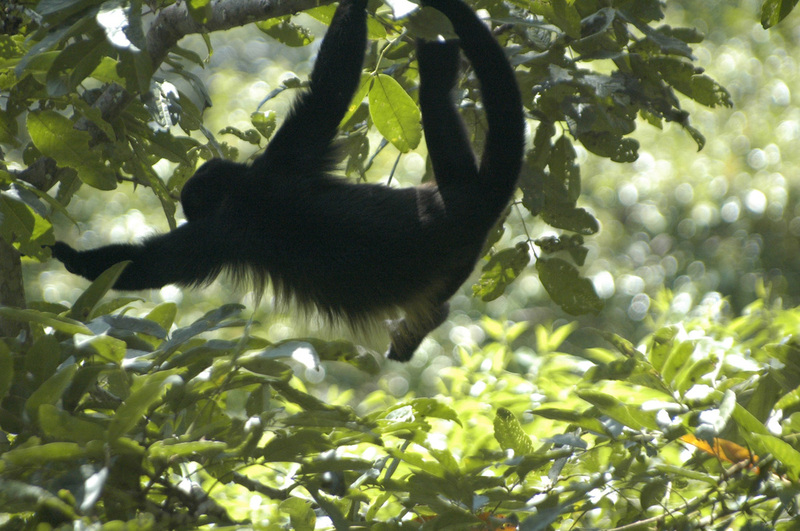 You will meet and hear the Howler Monkey in the rainforest! 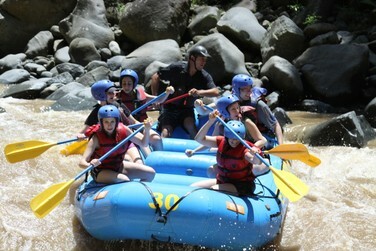 Today we will be heading south to the Caribbean coast, and on the way go on a rafting adventure on the nearby Pacuare River, known as one of the top five rafting rivers in the world for its scenery and rapids (Class III-IV). Morning: We will visit the Indigenous BriBri Tribal Area and learn about the history of the native people of Costa Rica and the medicinal plants they use. 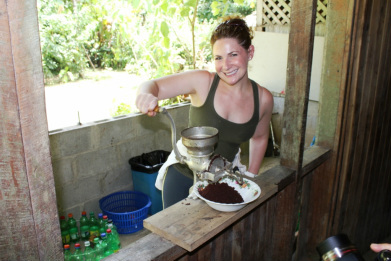 We will end the visit by learning a bit about the history and production of chocolate in the area– and participate in the process of turning the coco-bean into chocolate - including tasting, of course! Afternoon: Free time on the amazing Caribbean beach. Festive Friday night Dinner at the Israeli owned Pita Bonita restaurant, serving some of the best Hummus in Central America! This morning, we have an option to visit the local Jaguar Rescue Center, a unique animal rescue center, where you will learn about (and hold!) 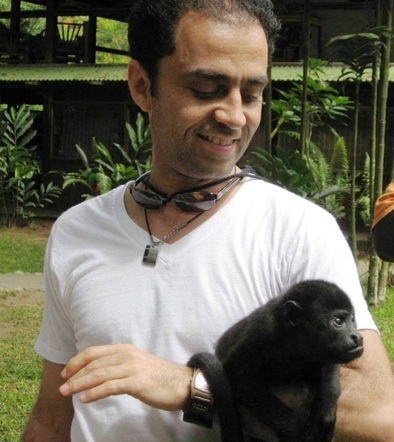 some of the amazing animals (including monkeys) that call this area home. Later today it is time to bid farewell to the Caribbean Coast, and head back up to San Jose, where we will spend the night before heading home tomorrow. 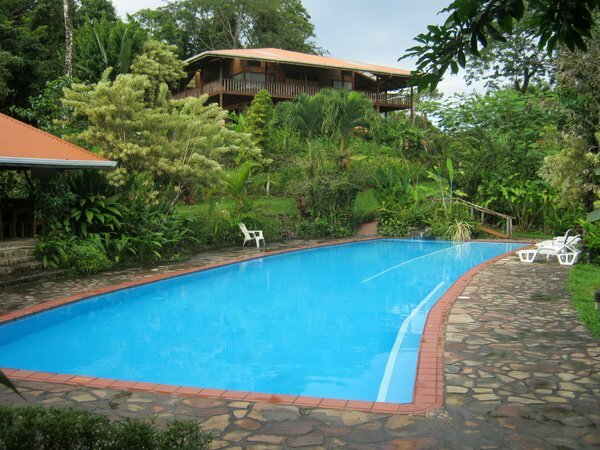 We will spend the evening in the small town of Alajuela, not far from the international airport. Time to say goodbye! Depending on our time of departure, we will be picked up from the hotel and taken to the airport. 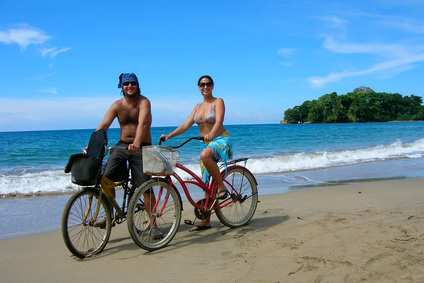 The February Caribbean Experience trip will take place from Saturday, March 9 to Sunday, March 17, 2013 (8 nights in total). We will be meeting at and leaving the San Jose (the capital) international airport (SJO). We ask that you plan to be on a flight that will land in San Jose by 6 pm on March 9. If you decide to arrive a day earlier, please arrive by 3 pm on Friday so you can prepare for Shabbat. Your flight home can be anytime on Sunday, March 17. You have an option of arriving on Friday and spending the weekend in San Jose, attending services in the Jewish community - let us know if you are interested in this option! 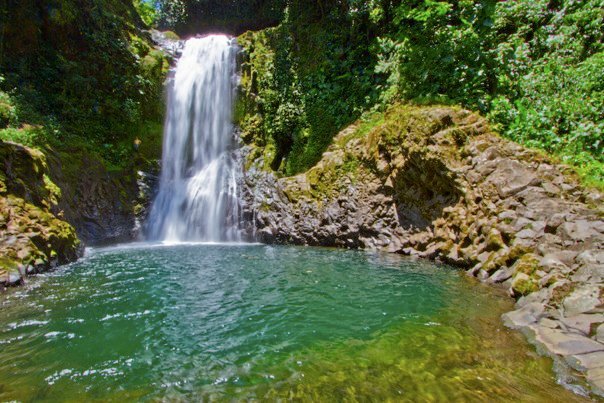 On Finca Luna Nueva, you will stay in rustic yet luxurious accommodations on the edge of the Costa Rican rain forest. On the southern Caribbean coast you will be staying in a comfortable mid-level hotel, such as the elegant Namuwoki, or the Shawandha. We will be pairing up to share the rooms, though you might choose to be in a single room for an extra fee. The cost of the trip is $1980. If you cancel your attendance after February 5, 2013, we will reimburse you the sum you paid, with $200 kept as cancellation fee. 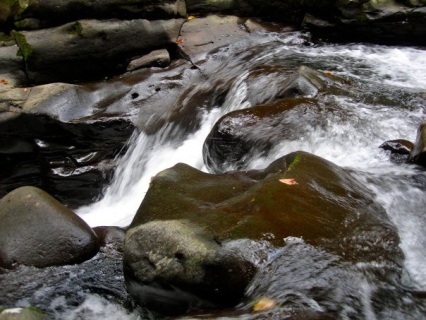 Reserves your spot for the amazing December 2012 trip. To participate you must cover the full balance by February 5, 2013. Deposit and remaining balance for Aug. 2012 trip, including all accommodations, 17 meals, and tons of activities. 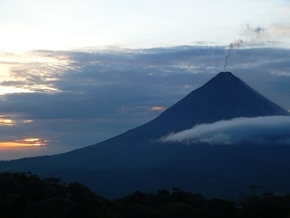 8 nights of accommodations in the capital San Jose, on Finca Luna Nueva lodge near Arenal, and in a Puerto Viejo hotel. Price is for double occupancy accommodations. Single occupancy rooms are available, based on availability, for an additional fee. 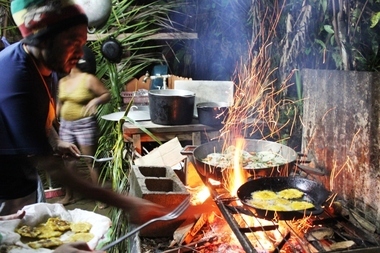 All activities and meals during our 3 nights while on the Finca Luna Nueva lodge .